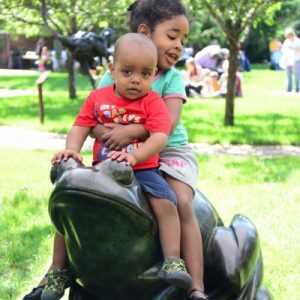 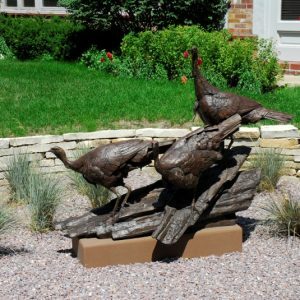 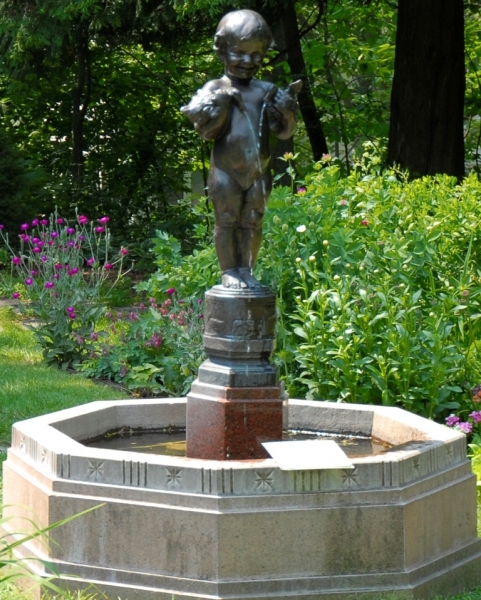 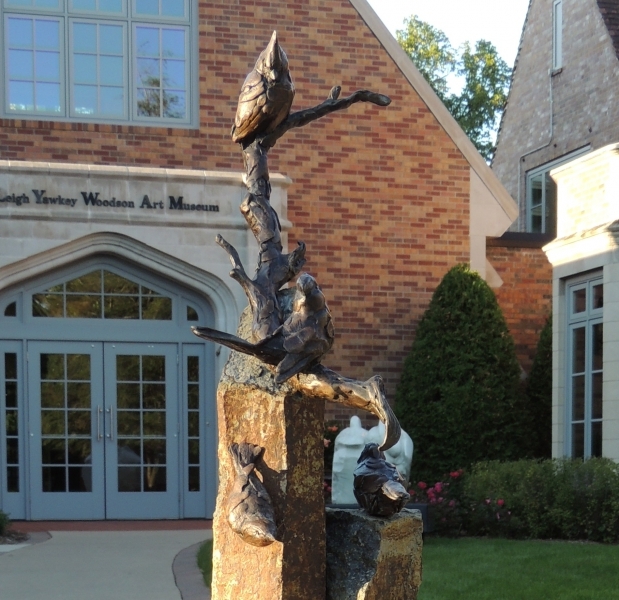 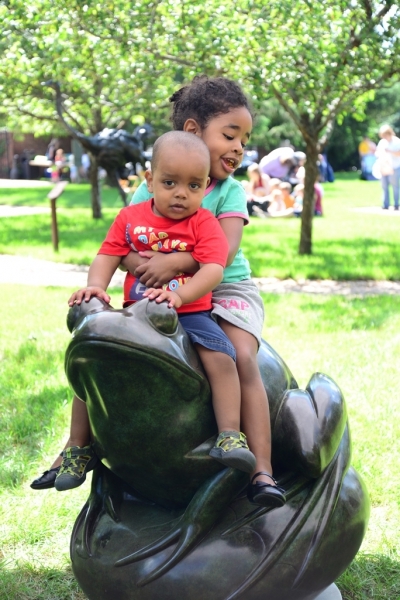 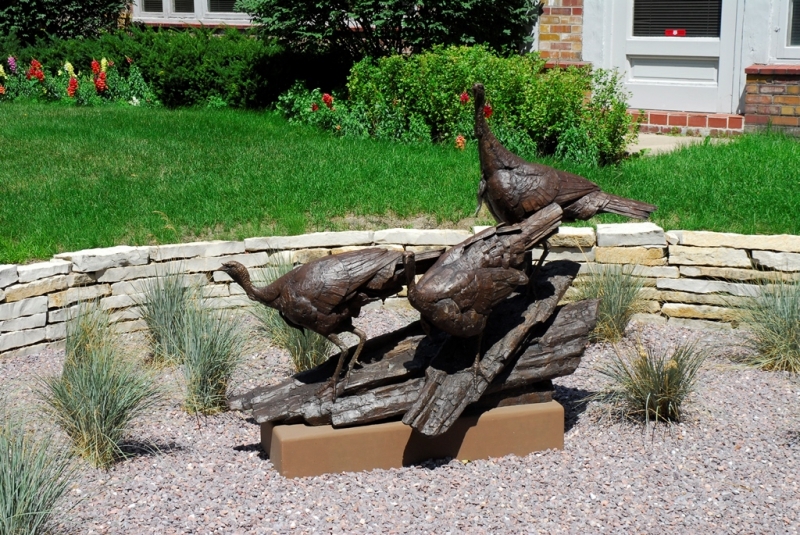 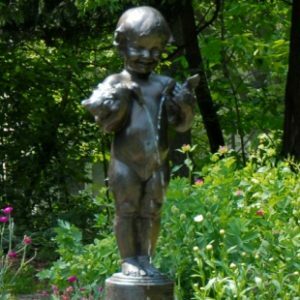 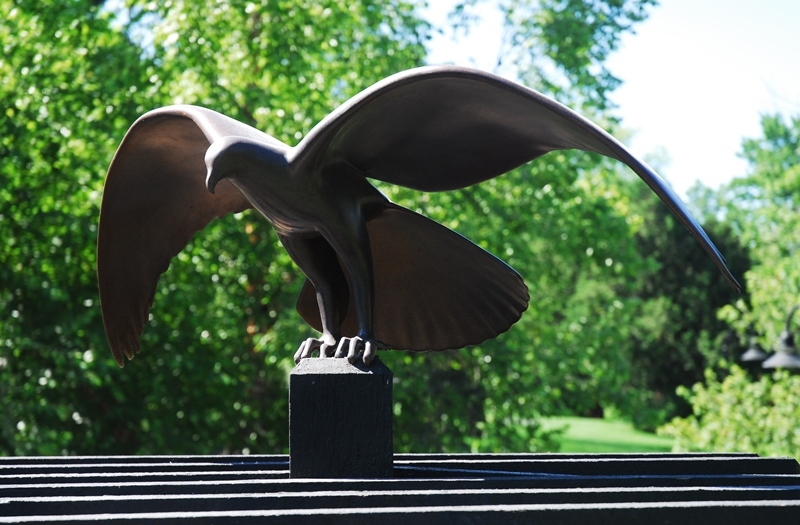 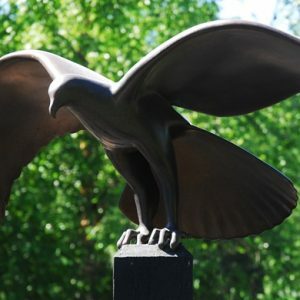 The Leigh Yawkey Woodson Art Museum’s grounds feature sculptures that delight visitors of all ages. 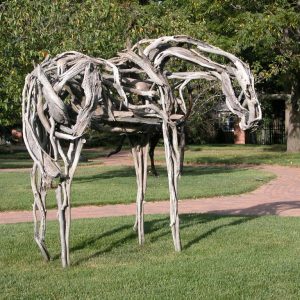 From Deborah Butterfield’s Kua to Burt Brent’s The Heavyweight, a range of artistic styles can be found. 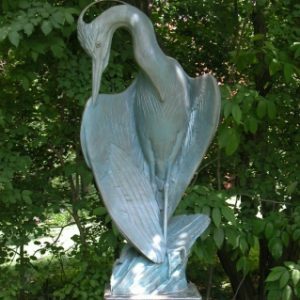 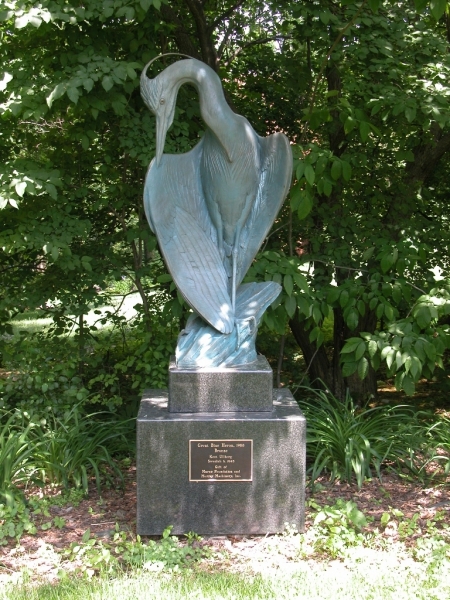 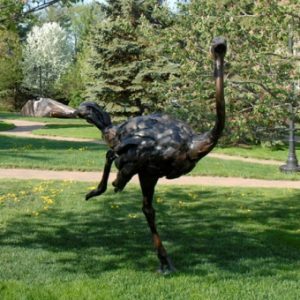 Another highlight is Kent Ullberg’s striking bronze whooping cranes that stand as iconic sentinels at the garden’s entrance. 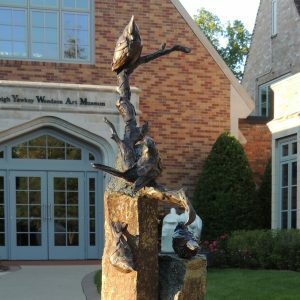 Artist and landscape architect Bonnie Gale and her assistant Jonna Evans created a seven-foot-tall, domed, willow structure, Living Willow Dreams, June 24-30, 2018, in the Woodson Art Museum’s Margaret Woodson Fischer Sculpture Garden. 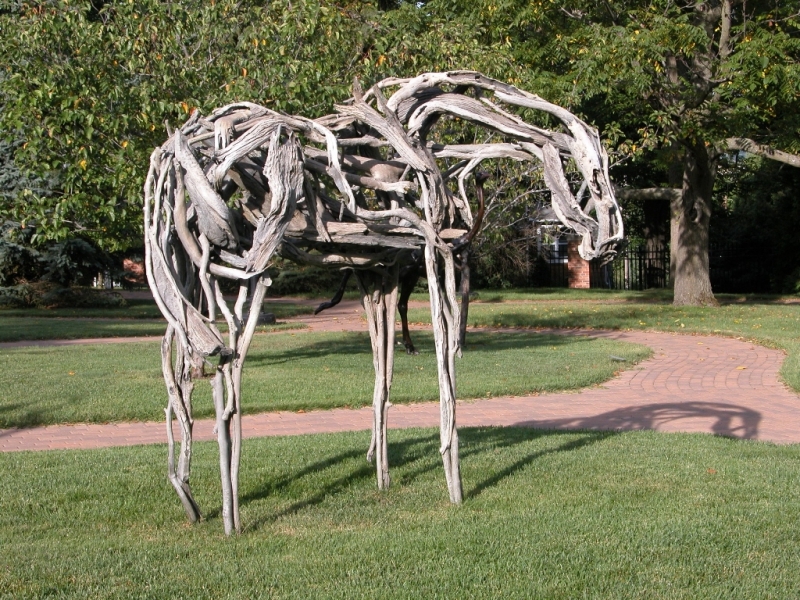 Bonnie Gales’s living willow sculpture project is supported by a grant from The Dudley Foundation. 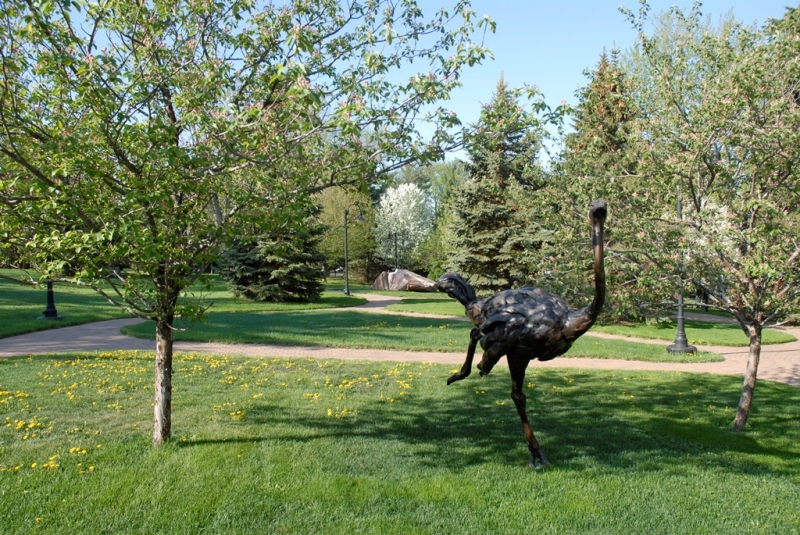 Learn more about Living Willow Dreams in this interview with the artist. 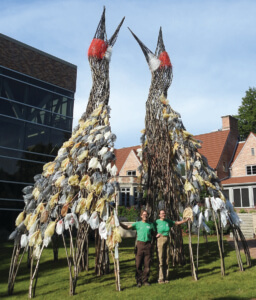 A nearly thirty-foot-tall, site-specific sculpture, The Dance, of a sandhill-crane pair was on view for more than two years until fall 2018. 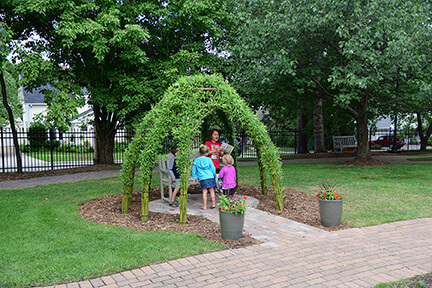 This temporary installation, designed to be on view for a few years, was created June 21-25, 2016, from saplings by Boston artists Donna Dodson and Andy Moerlein, known as The Myth Makers.